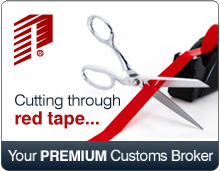 Need Customs Brokerage, Freight Forwarding or Warehousing Services? Currently, commodities listed in Chapters 98 and 99 of the H.S. Tariff Schedule receive a tariff item (previously known as an annex) relevieing them from duty upon importation into Canada. This week the Department of Finance clarified that these items will still receive the tariff item, but will be subject to the proposed surtax if implemented on July 1st, 2018. Additional clarification was provided on whether or not in-transit shipments would be surtaxed if implemented on July 1st, 2018. The answer is no. If the importer can provide proof that the items were shipped prior to July 1st, 2018, they will not be surtaxed.